The BR Beer Scene: Two More Beers From O'Fallon Brewery! A little over a week ago I received an early Christmas present of some beers from St. Louis that I can't get in Baton Rouge! I already reviewed the two reserve series beers from Schlafly, and one of the variety pack beers from O'Fallon. Now it's time to take a look at two more from O'Fallon. I wasn't terribly thrilled with the first one, the Unfiltered Wheat, so hopefully these two exceed expectations. 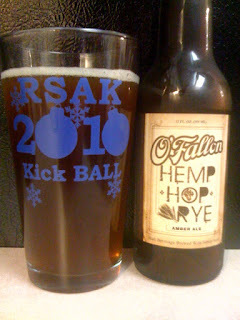 First up was the O'Fallon Hemp Hop Rye. The beer is a nice looking hazy amber color, but very little head at all and no retention on what was there. So, mixed bag on the looks. There's a much stronger smell than I expected, malty caramel dominates but an earthy spiciness comes through too. The taste is a little weaker than the smell, but I'm also picking up some hoppiness I missed on the nose. The other flavors are all present too with the rye earthiness coming more to the front than the amber malts. More complex than expected, and really a nice beer. It's a little thin, but not enough to really take away much from the beer, just not anything to add. I found the unfiltered wheat from O'Fallon to be a little boring, but this one is the opposite, very interesting and I'll definitely be looking forward to the second bottle! 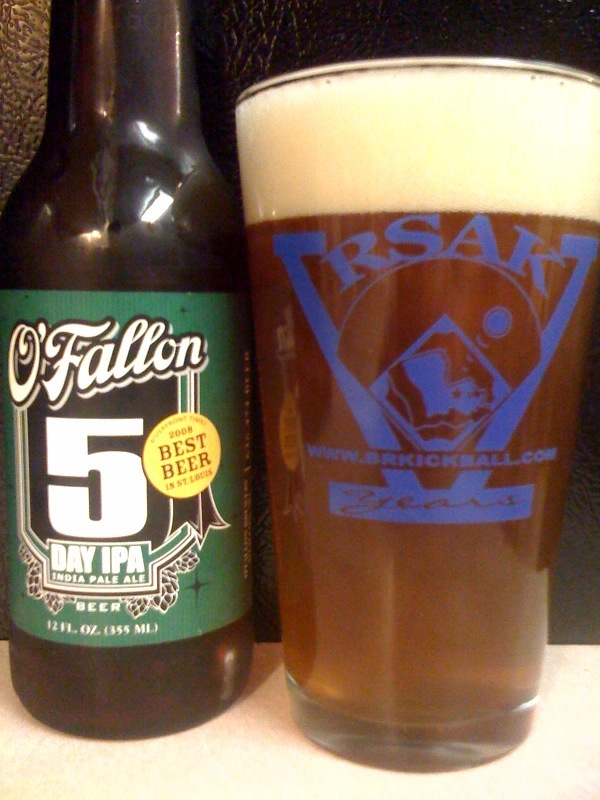 Up next is the 5 Day IPA, poured from a bottle into an RSAK pint glass. It's a hazy deep amber color with a finger worth of white head. Decent retention... good looking beer! The smell is a little faint, but what's there is grapefruit hoppy. The taste is similar... there's somewhere funny on the end that I can't place but it's not bad. It's not a bold IPA, but a decent one and really easy to drink. To compare to some local IPAs I'd put this one slightly better than the Jockamo IPA from Abita, but below the Hopitoulas IPA from NOLA. It's definitely on the more tame side of the style. Both beers are a definite step up from the Unfiltered Wheat, and I still have one more O'Fallon beer to try, so look for that review coming soon!